I’ve always loved the Winnie-the-Pooh stories. The Disney version is OK, but I really treasure the books with the pastel wash illustrations by EH Shepard. My son’s nursery had six of these prints which I still have and can’t manage to part with despite him being twenty-one and off to university. Why is that? AA Milne became famous for a series of stories and poems about a little boy named Christopher Robin and his adventures with his animal friends in the Hundred Acre Wood. Up until this point Milne had been known for his plays, but in 1926 he published Winnie-the-Pooh and Christopher Robin, Eeyore, Kanga and Roo, Rabbit, Piglet, Owl, and Tigger made their way into children’s literature and the hearts of millions on both sides of the pond. The character of Christopher Robin was based on Milne’s small son by the same name. When the real Christopher Robin was young, he helped his father work on the stories. The fictional Hundred Acre Woods was modeled on nearby Ashdown Forest where father and son would walk together. Young Christopher had a stuffed bear named Edward. The fictional story bear was named after a bear in the London Zoo he had seen called Winnie (the bear came from Winnipeg, Canada) and Pooh after a swan the boy also saw. There is a bridge in Ashdown Forest where it is alleged that the first game of Poohsticks was played. The bridge has become a tourist site and since 1984, the annual World Poohsticks’ Championship has been held at Day’s Lock on the Thames. Unfortunately, Christopher Robin grew up to resent his father immortalizing his childhood in the stories and poems. Once he was off to boarding school, he was teased and his life made difficult by other boys. So much so, that he learned to box to defend himself. Christopher Milne served in WWII, graduated from Cambridge, and ran a bookshop for most of his life. He also wrote several books, one called The Enchanted Places examined his life as a child. The stuffed toys Christopher played with were given to an editor who donated them to the New York City Public Library where they can be seen today. Trivia Question: AA Milne attended school and was taught by another famous writer. Who was that? Feel free to answer in the comments. (I’ll post the answer if no one gets it.) mike75 got it with HG Wells. Sorry, no big prize but I am impressed!! I had no idea until I read it in Milne’s biography. I recently read “The Red House Mystery” by AA Milne. It was a Sherlock Holmes type mystery. It was def different than all the children’s stories that I am so familiar with. It’s neat to find out that he worked with his son on that. It’s too bad that his son felt the brunt of the ridicule by his peers. Christopher Milne became a strong environmentalist, according to a journalist I know, who was friendly with him. He fought to save that forest. I’m enjoying your posts and decided to comment on this one. I came in too late to answer the trivia question. I wouldn’t have guessed H.G.Wells anyway. 🙂 I must confess I did not like Disney’s version of Winnie the Pooh. I read Milne’s stories to my kids up until they could read them for themselves. I always cried at the end because Winnie the Pooh realized Christopher was growing up just as my own kids were. I find this blog after I realized that you’d like my post for two times. Im sorry for being late to say ‘thanks’ haha. And sorry for my bad english. By the way, I like Winnie the Pooh, and thanks for posting about the author. Lovely post. it reminds me about my childhood. Nice post. That was an interesting post. I love (have loved in some cases) reading Winnie the Pooh to my grandchildren. About those prints that you won’t part with, can I guess that it’s your link to the Hundred Acre Woods and your son’s time in it? Trouble is that except for Pooh and his friends, we’ve all got to leave it some time. When I was pregnant, I KNEW Pooh had to be the theme for the baby’s room. I loved Pooh growing up (still do) and my now 13 year old daughter adores Pooh. We also visited Ashdown Forest and Poohsticks Bridge… have lots of pictures from that trip. I think two of my favorites are my mother and daughter on the bridge and myself and my husband at the Thoughtful Spot, where there is a plaque dedicated to Milne and Shepard. Wow! I had no idea about the aftermath of the real Christopher Robin. And if I had to guess, that is certainly FAR from what I would think. Very interesting. Thanks so much for sharing! Great post, very enlightening. Thanks. It’s been fun reading all the comments. Thanks to everyone who shared their own private stories and additional information. A lovely post; I didn’t know Christopher felt as he did, interesting! I was brought up on the Christopher Robin stories and poems (Now We Are Six) and passed them on to my son who is now 22! We still have the books at home. Christopher Robin’s bookshop in Dartmouth is no longer there, sadly, although we visited it many times, as well as Pooh Bridge on Ashdown Forest. So glad to know there are others out there……. Would you believe (sad to confess) that I’ve never read Christopher Robin? But your post is so inviting that I’ll have to read it. Can’t say I had a disadvantaged childhood. Instead I spent every day at the library – searching for the power of God from the age of 8, among the esoteric books. Found a better one. But now I will just have to make a date with the library all these years later, to update my educate. I love Pooh bear! (who doesn’t.) I could not figure out who he was taught by …I tried to think .when did he write …when was he born and did not know, so could not come close to guessing. But see’s that others got the answer. I knew he went to….Trinity College? Where did I hear that? Ok, maybe I made that up..ack!!! Its true that Christopher Robin gives us a cute bear.Thanks for this nice post as it reminds my childhood as winnie the pooh bear is my favorite all the time. Thanks for bringing back to life one of my favorite childhood stories! And thanks for liking my post! Thank you for visiting myImmanuel! I love the colour E.H.Shepard versions of Winnie-the-Pooh and the House at Pooh Corner. I will not buy any other version. My copies are still on my bookshelves. My Dad used to read these stories to me and I have some great memories of him doing so. I have given these books as birth/christening presents so many times I’ve lost count! My grown daughter with two English Lit degrees has claimed the A. A. Milne book I brought home for my three children many years ago. We had many joyful times reading from it together. They were intrigued to learn about the non-Disneyfied version. When I was five years old, I received a hand-me-down teddy bear from a British relative. I immediately called him “Winnie Pooh Bear”. He had a music box in his tummy that would play rock-a-bye baby when you squeezed him. Years later I learned that she had called him “Edward”. Now I know why. He was a comfort for me for many years and the inspiration for Edgar, a teddy bear featured in my bittersweet novel. Fascinating story. Fun to look behind the scenes of stories we love. I grew up with Pooh, and often think about him and his adventures; for a bear with little brain he was very brave! 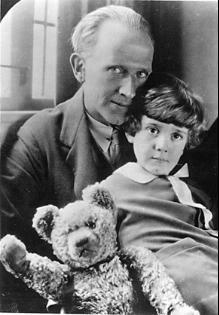 I love Winnie, and knew that A.A. Milne based CR off his son, but hadn’t known about the troubles he went through as a result. Another trivia bit that I enjoy: Milne played cricket with Peter Pan author J.M. Barrie and Sherlock Holmes creator Sir Arthur Conan Doyle. Great post. Didn’t Milne adapt The Wind in the Willows for the stage and wasn’t the play a lot more popular than the book, because it focussed more on Toad and his excesses and less on that very nice Rat and Mole? Right. I don’t know about popularity. Apparently some of the books contain an introduction by Milne. I guess we’ll have to see how JK Rowling’s kids fare. We’ll have to see how JK Rowling’s kids fare. Ellis, Love “Winnie the Pooh” and am fascinated by the information in your post. I might take some stories out to read tonight. Will take a look at your book too. Here’s more Milne trivia: The house in which the stories were written was sold by Christopher Milne. It came t be owned by Brian Jones, founding member and tortured soul of The Rolling STones. He dies there, in the swimming pool after an overdose. Sad history in that house. I was lucky enough to visit ‘The Hundred Acre Wood’ back in 2008. I even had my photo taken on the Poohsticks bridge! Love Poo and Eeore. Used to watch all with my kids when they were small. Lovely post. PS – and it is lovely to see that charming picture, too. What a lovely reminder. And I grew up also with his other book about Christopher Robin – “When we were Very Young”. I love it still. No wonder poor CR needed to re-draw himself! – often the fate of a child with a creative parent. I played pooh sticks only yesterday and I’m 34! There’s a perfect bridge quite near to where I live. I won, but then I was playing by myself…thanks, lovely post, a warm smiley way to start the day! h. g. wells; i was going to guess a. lang. I always loved the Pooh’s fascination with honey. Yes, well, H. G. Wells! Wow! Ah, I love Winnie the Pooh. 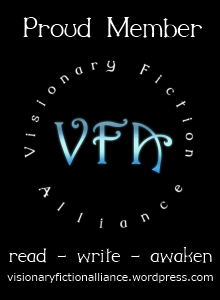 We used to read the stories aloud to each other at the house I lived in in college. 🙂 Good times. Hmm! I didn’t know that bit about Christopher Milne when he grew up. Unfortunate, but interesting to learn. You have to wonder what the kind of thing would do to a child. I’m curious as to how others (like Barbara and Ken Handler) were treated after having world-famous things made after them. My mother and aunt read Milne’s Pooh stories and poems to me when I was a child, and my own teenage children still fall asleep every night to Peter Dennis’ wonderful rendition. (My daughter keeps her favorites on her MP3 player for when she sleeps away from home.) When last we were in New York, one of our required destinations was the children’s room at the main library so we could visit Pooh and friends. We travelled to London last spring, and the Zoo was at the top of our to-do list, specifically to visit the place where Christopher Robin met Winnie the bear. It’s sad that the real Christopher Robin had trouble because of his father’s writing, but I am grateful to them both for the priceless gift they gave to countless children. I love Winnie-the-pooh, especially the classic version! Thanks for sharing such unique info about the author and books. I think it was H.G. Wells, wasn’t it? My son and I enjoyed reading the Pooh stories together, and still sometimes do.